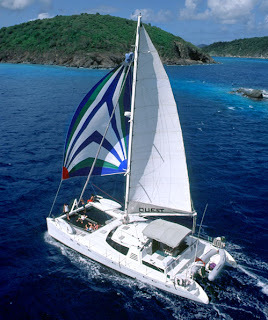 Luxury Catamaran Quest, Take $1000 off listed rates. Virgin Quest is designed with comfort and luxury in mind. Quest boats four identical queen size cabins, all fully air conditioned with en suite facilities. The open plan saloon immediately gives the impression of space, style and comfort. Dine formally in the saloon or experience the stars and fresh Caribbean air in the spacious cockpit. Enjoy the many water sports we provide or lie back and relax on the trampoline. Take $1000 off listed rates. Valid for charters beginning between Now and 23 August, 2010.